There are record numbers of unemployed, a shrinking pool of jobs, and an increase in school failure rates. Is now really the time to shift our education system to a nurturing system that focuses on growth? Absolutely. This economic collapse presents an opportunity to transform not only our economy but how we live within it. Schools are intended to be the incubators for future workers. Maybe that’s the problem. We don’t need more workers as so much as we need more creatives and innovators to lead us out of this busted wreck of an economy. This shift has to start in our schools. Right now our education system comes straight out of the Enlightenment by way of the Industrial Revolution. Is that really up to date? Perhaps part of the reason so many students drop out is that they can’t see the relation between what happens in the classroom to the rest of their lives – not just their work lives but their creative lives, civic lives, and emotional lives. Perhaps they’re right. Our current way of teaching does not acknowledge or even encourage the diversity of our individual brilliance. Yes, the Odyssey is a classic but for many kids the story does not connect with who they are or even with who they will become. Who they will become should be the focus of school. I’m particularly struck by the educational theories of Sir Ken Robinson, who suggests that ADHD is not a diagnosis of a mental disease but rather a systemic response to being in an educational system that is barely nourishing. Robinson notes the parallel growth of ADHD diagnosis and the growth of standardized testing. 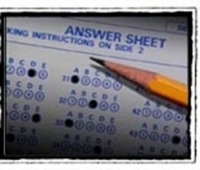 Standardized testing assesses whether or not children have learned a standard body of knowledge within a standard model of learning. As we know, not all kids thrive in this box. Many of those kids have been stamped with the ADHD simply because we just don’t understand why they are not able to learn like the other kids in the little box. We are asking our children to sit still for hours and learn a set body of knowledge in a set way in a set environment. No wonder they are climbing the walls. Instead, Robinson suggests that we want children in school to have peak aesthetic experiences – times when their whole attention and senses are engaged. In the aesthetic experience you are in the moment and fully alive. In an anesthetic experience – like standardized testing – you are shutting off your senses and are numb to your experience. ADHD drugs put our children in an anesthetic experience. The drugs shut down the senses enough to allow the children to focus on school. Great for some cases but probably not so great in others cases. Do we really want our children to be numb? How can we wake them up? Perhaps we need to wake up first, wake up to the idea that it’s not so much about what we learn in school. Yes, learning Math, Science and the Arts is important. But these bodies of knowledge should be guides to help students become creators and innovators. In light of our current economic crises it seems that we certainly could us many more than we have now. When it comes to educating our children, we are stuck in the past. How can we begin to move from vision to mission to action in regards to how we educate here in this country? It starts with shifting how we understand learning. From here we change how we teach. It’s not just about transferring knowledge. It’s a paradigm shift from teaching to nurturing.